Family Kabins offers a unique line of log cabins. We work closely with customers during construction so your new cabin emerges as a perfect reflection of your vision. We have earned a reputation for distinctive mountain style structures. Use this link to see sizes available. Most cabins are built using tongue and groove D logs, milled in Montana. The D log is flat on the interior and rounded on the exterior. If you choose to construct your cabin yourself, all the construction materials required to complete the cabin are included in our kits. Kit prices do not include labor for assembling the cabin, shipping costs or specific foundation needs. The installation price will vary according to each individual situation. 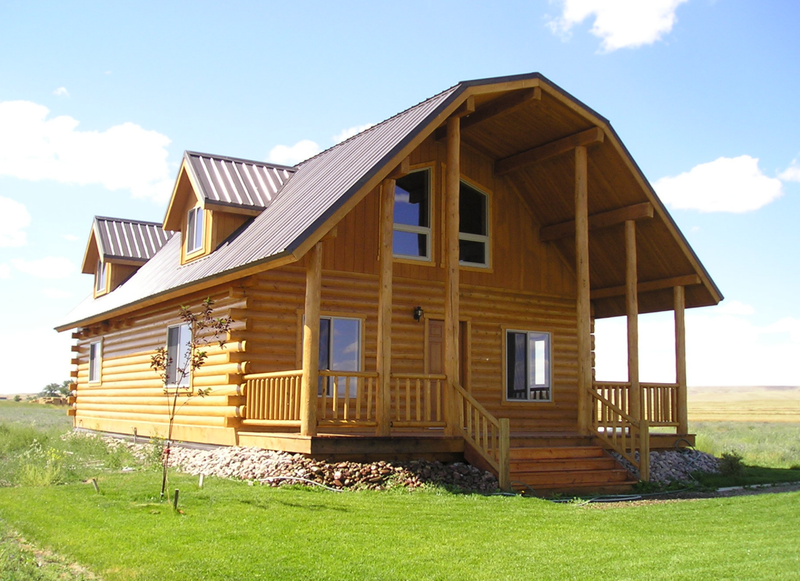 The custom styled cabins that we have available include the Missouri (14' x 30'), the Highwood (18' x 28'), the Sun River (16' x 28'), the Yellowstone (14' x 27'), the Glacier Series (14' x 23'), the Prairie Series (12' x 18') and the California (12' x 10'). Click on any one above for a full description. Family Kabins provides two other unique styles as well. They are the Fishing Hut (8' x 15') and the Pool or BBQ Cabin (8' x 15'). Click on any one for details.